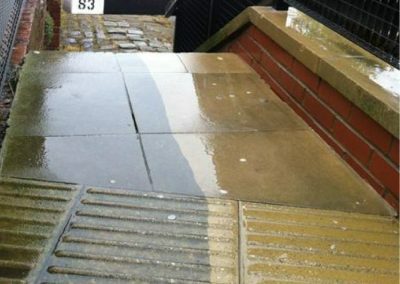 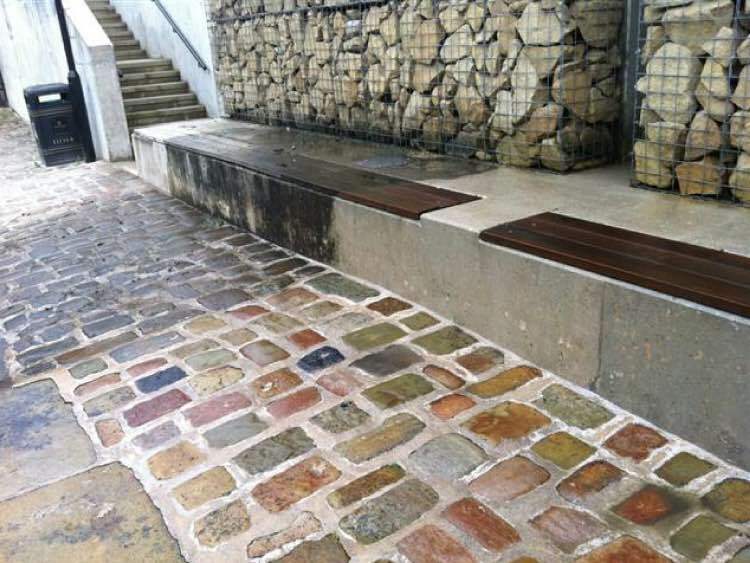 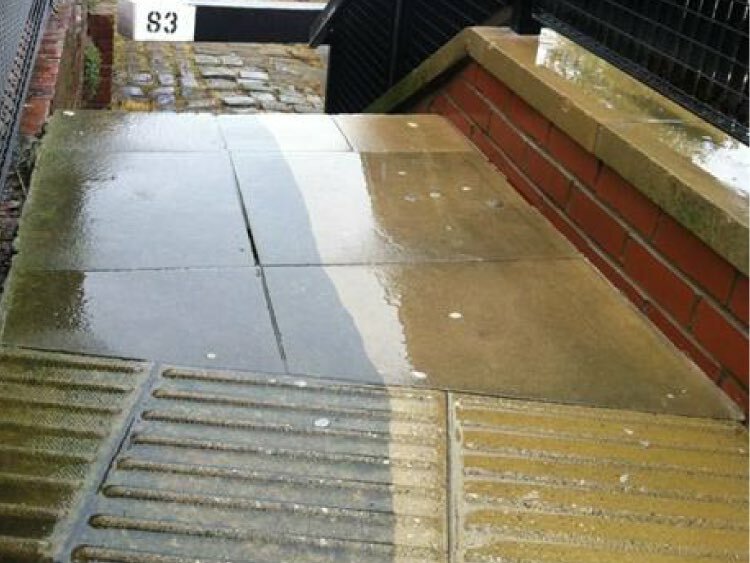 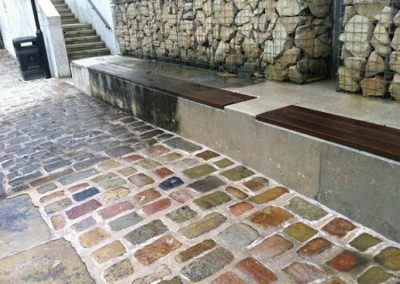 Our canal cleaning and pressure washing services will restore the paving and ground to it’s original condition bringing back the beauty to the area for the public to enjoy. Canalside paving becomes extremely slippery as it’s the perfect location for moss and algae to grow. 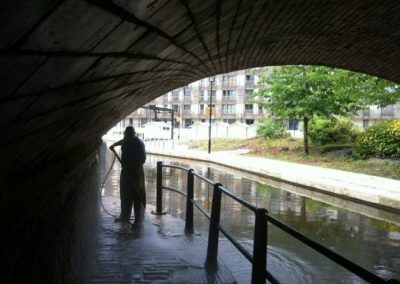 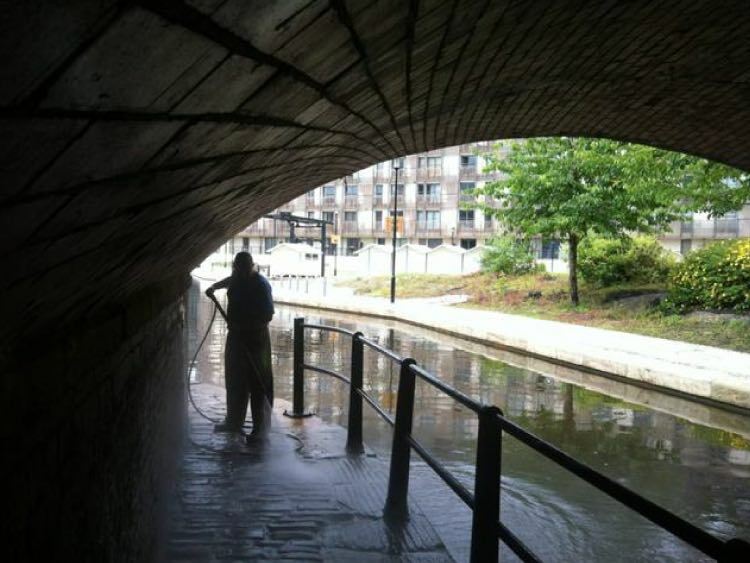 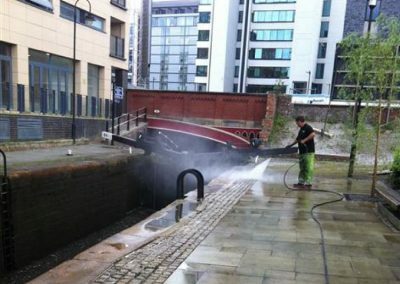 Here’s some images of the pressure washing of canal paving in Manchester City Centre that we carried out in June 2012. 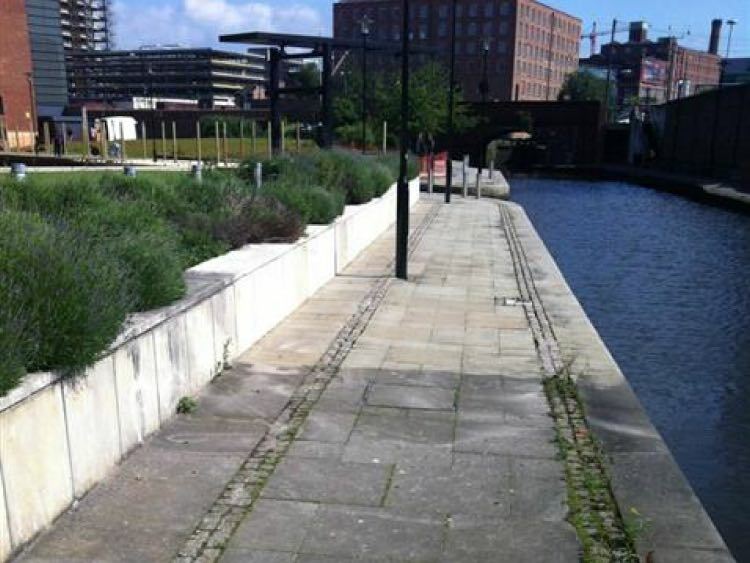 If you’re a local authority and are considering restoring your local canal paving then get in touch with us to arrange a free quotation. 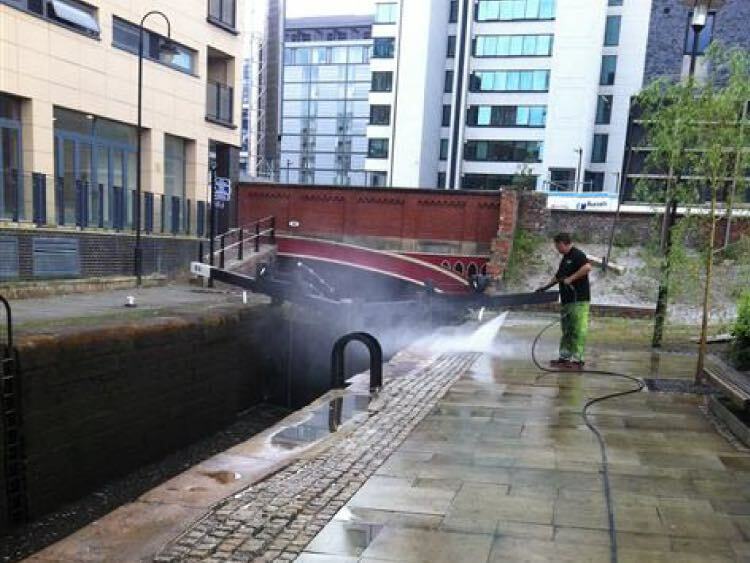 Our canal cleaning and pressure washing services can remove dirt, grim and algae from the canal side leaving a safer and aesthetically pleasing environment. 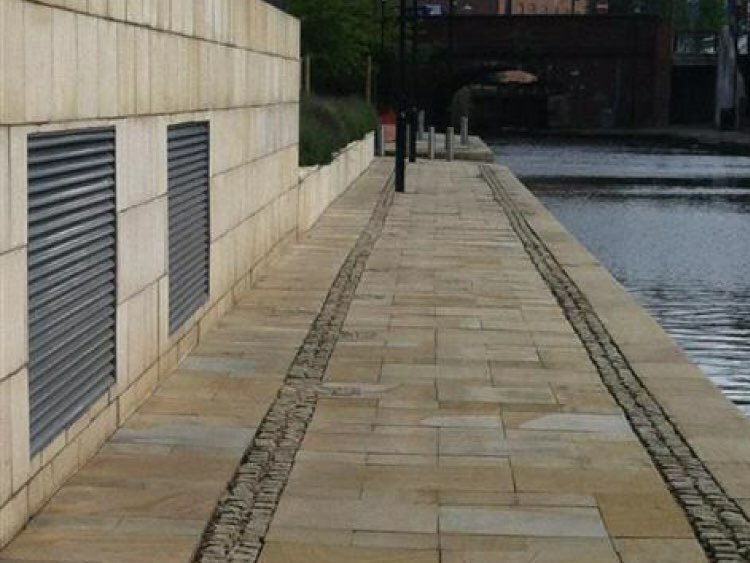 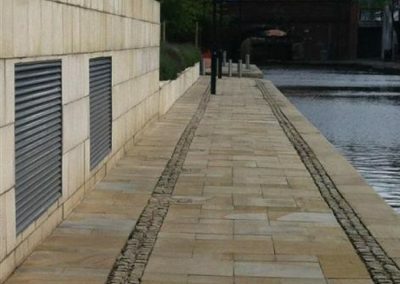 Take a look at some of our recent work and how we can restore the aesthetic of canal paving.